AED fully operational- located on external wall to office by disused red telephone box. I have highlighted some of the points that I thought would be of interest personally to residents on Lansdowne Park- see below. However to appreciate the full range of features and benefits that the Powerheart G5 incorporates, you may find accessing our short product video of interest. This can be accessed via the following web link. There is also access online G5 CardiAcademy; this can be accessed via the following web link where potential rescuers (be they formally trained or not ) will find useful information about what happens to the heart when they go into Cardiac Arrest and effective resuscitation by combining quality CPR with customized therapy delivered by the Powerheart G5. 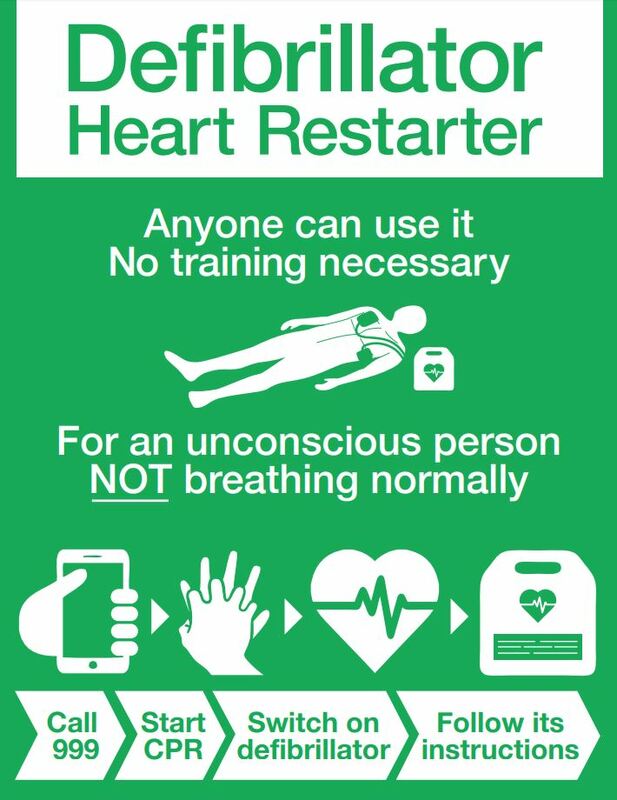 Also the following url’s will take you to the Red Cross website and show you 2 very short videos of how to use a defibrillator and put people in the recovery position. The videos show an adult patient and you’ll see that when doing cardio pulmonary resuscitation (CPR) they are using 2 hands locked together with straight elbows and are leaning directly over the patient: remember that for a child (1-8yrs) you use just one hand, and for a baby (1-12months) just 2 fingers. The defib is never used on a baby, and for a child the pads are put in the centre of the chest and in the centre of the back. Adults have the pads diagonally across the chest as shown on the pads themselves. 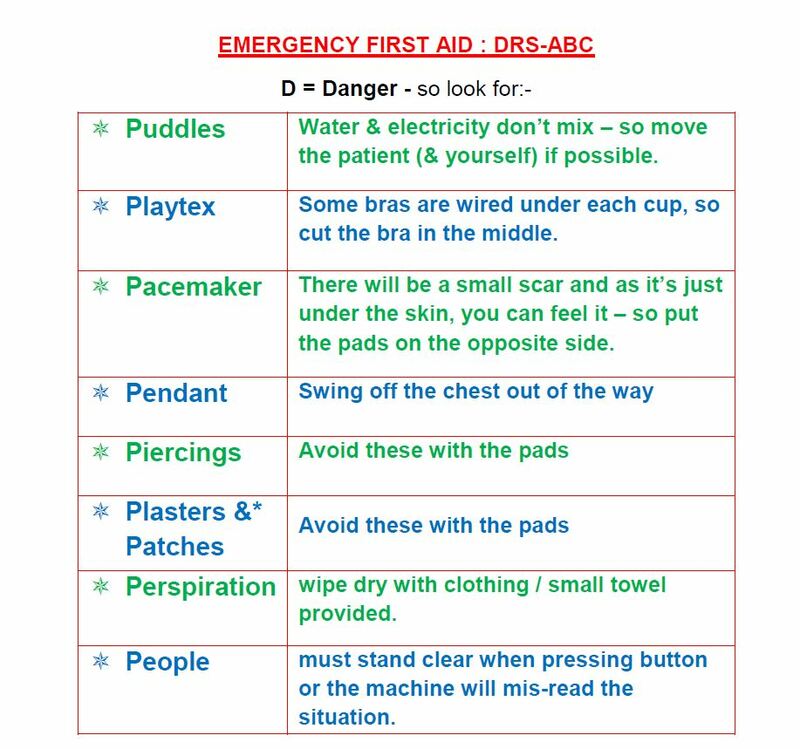 There is also a sheet for 8Ps for ensuring no harm to the patient or operator when the defibrillator is used. I will propose that an informal familiarisation / training session be arranged for those who would like to obtain more information.